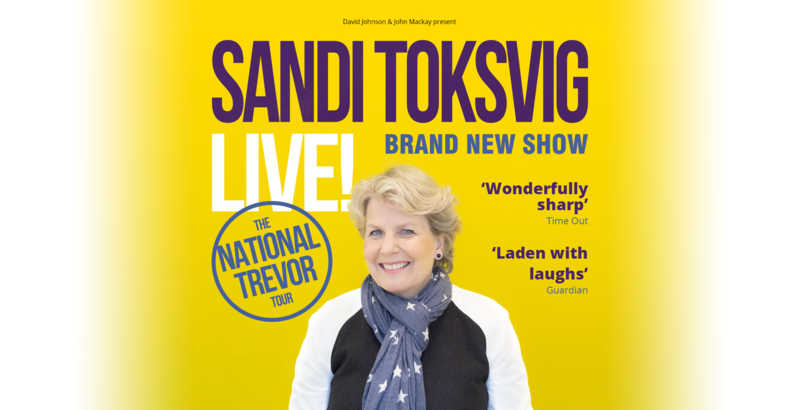 Sandi Toksvig – Live! A National Trevor! Born in Copenhagen, Denmark, Sandi was brought up around the world in Europe, Africa and the United States. She began her comedy career at Girton College, Cambridge where she found time to write and perform in the first all-woman show at the Footlights as well as achieve a first-class degree. 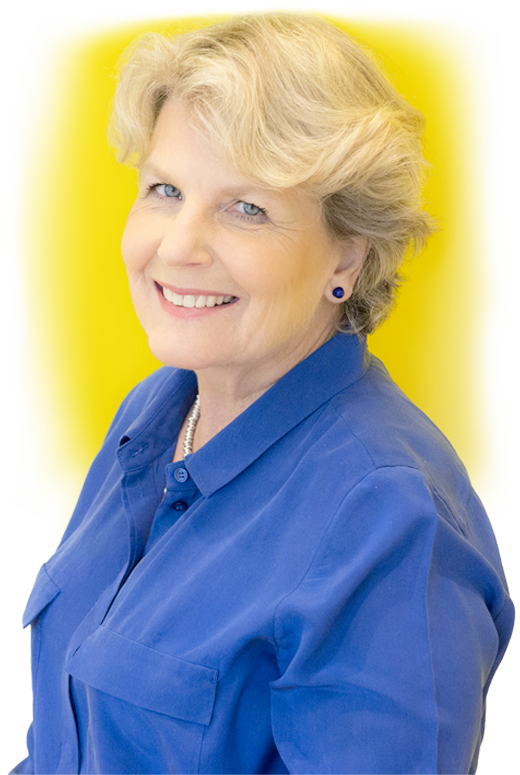 Sandi is well known to UK audiences as a broadcaster having begun her career in children’s television playing Ethel in the long-running Saturday-morning show Number 73. Since then her television career has included celebrated series such as Call My Bluff (as regular team captain) and Whose Line Is It Anyway? She was also host of Antiques Master for BBC2 and 1001 Things You Should Know for Channel 4. In 2016, Sandi took over from Stephen Fry as host of ‘QI’, BBC2’s fiendishly difficult and hugely popular quiz. She also replaced William G. Stewart as the host of the popular teatime quiz Fifteen to One which made its comeback after 11 years in April 2014. In 2017 she and Noel Fielding became the new co-hosts of ‘The Great British Bake Off’. For a decade Sandi was a familiar voice for BBC Radio 4 listeners as the chair of The News Quiz which led to her induction into the Radio Hall of Fame. Sandi is passionate about live performance. She performed at the very first night of The Comedy Store in London and for many years was a member of The Comedy Store Players, an improvisational comedy team. Sandi conceived Playhouse Live for Sky Arts, producing specially commissioned live drama for television and for three years was both a writer for the series and the executive producer. Much of Sandi’s time is devoted to writing. She has more than 20 fiction and non-fiction books for children and adults to her credit. Her latest novel ‘The End of the Sky’ was published in 2017. For the theatre Sandi co-authored the musical Big Night Out at the Little Sands Picture Palace Theatre (with Dillie Keane), the Shakespeare deconstruction The Pocket Dream (with Elly Brewer), Charity Begins for Playhouse Live, Bully Boy and Silver Linings. Her adaptation of Treasure Island reopened the Leicester Haymarket Theatre in December 2018. In 2019 her adaptation of Mamma Mia the Party will open at London’s 02. Sandi is an activist for gender equality. In 2014 she co-founded the Women’s Equality Party. 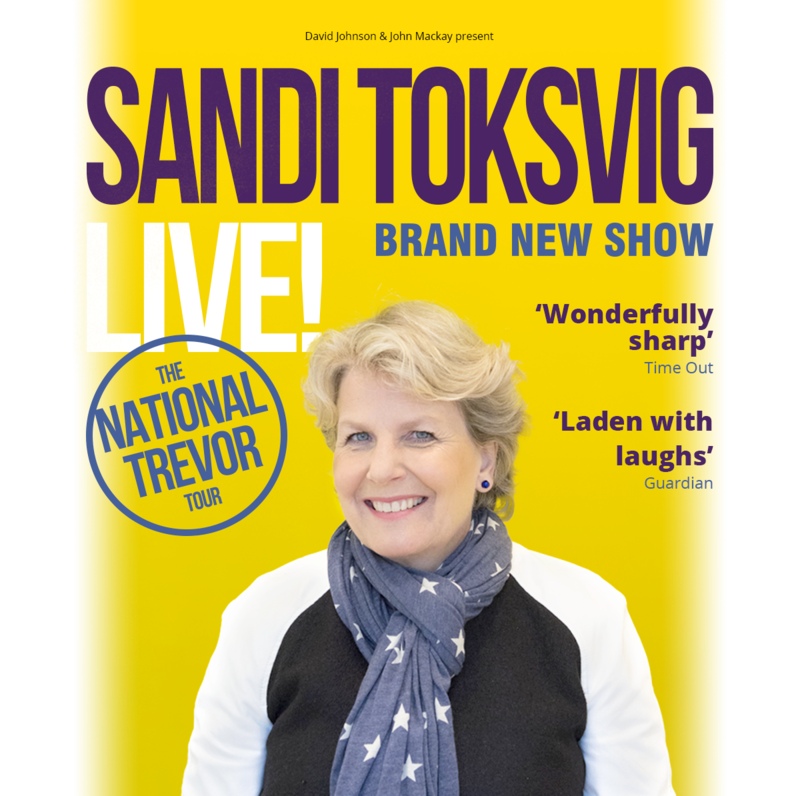 Sandi has received an OBE but is yet to be made a National Trevor.